“By dint of // positioning,” these poems unfold a lyric voice with few certainties but, rather, positionings, juxtapositions, movements across and over, settlings then movements again. Hushed, dense but allowing breath, pared in language, Gil-Montero’s poems are multiple in form, taut. They resonate and return, pulse. An excellent début. Where did these poems come from? I ask myself that question whenever I read them. Michelle Gil-Montero is a conjurer. “Our belly was the felt rut of Roman road,” she says, in a voice both ancient and intimate, narrating a story of two lovers that is also, mysteriously, the story of where we all came from and how we love, and live—in houses, in storms, among searchlights, crows, a fog that hugs us with “odd fondness.” Michelle Gil-Montero delights, as Niedecker and Stein delighted, in turning words and sounds into objects themselves. A rocking chair “unfurls a choir of feral cats.” Bird names kindle fire. An arm and chin, cradling a violin, form an imagistic—really, magic—“palindrome.” In these poems, body, language, music, and instrument merge into the single force of Yeats’ dancer-and-dance. I could go on, but you should just read the poems! They are the real thing. Few poets are writing with such seriousness and fluency. With their paradoxical co-embodiment of impulse and exactitude, Michelle Gil-Montero’s lyrics remind me of Marosa Di Giorgio’s work, and of a neuron’s. Here poetics is physics: what’s linked in a few syllables of sound and association can have at once dazzling and coruscating effects—“close storms, a braille music”—depending on the scale or closeness with which it is perceived. Thus the lyric’s intimacy is both gorgeous and terrible, human fluency both a delicious and an unbearable double valence, an aptitude for being turned simultaneously both inside and out. 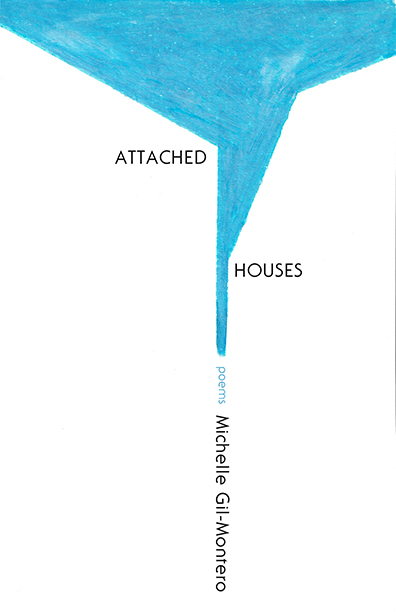 As a multi-lingual poet and translator who has brought the most complex and lyric propositions into a reactive, dynamic English, Michelle Gil-Montero knows that virtuosity appears effortless because of the extreme pressure which fires it: it springs through a torqued synapse, puts the twist in the Möbius strip. Michelle Gil-Montero’s poems are resonantly visionary, making visible the delicate stitches that attach houses, bodies, words. The precise notations within the vastness of experience create an attention so exquisite, each minute shift resounds, calling to mind H.D.’s “intricate songs’ lost measure.” This is a book of exceptional insight and immediacy. Michelle Gil-Montero is a poet and translator of contemporary Latin American poetry. Her translations include Poetry After the Invention of América: Don’t Light the Flower by Chilean poet Andrés Ajens (Palgrave MacMillan), This Blue Novel by Mexican poet Valerie Mejer (Action Books), and Mouth of Hell (Action Books) and The Tango Lyrics (Quattro Books) by Argentinian poet María Negroni. Her poems have appeared in Spoon River Poetry Review, Colorado Review, Third Coast, Cincinnati Review, and other journals. She is a graduate of Brown University and the Iowa Writers’ Workshop. 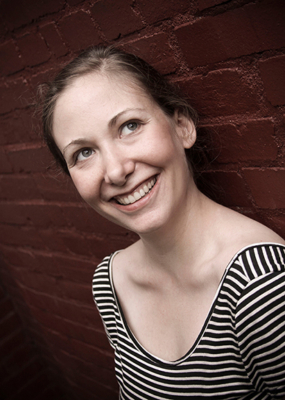 She lives in Pittsburgh and is Assistant Professor of English at Saint Vincent College.